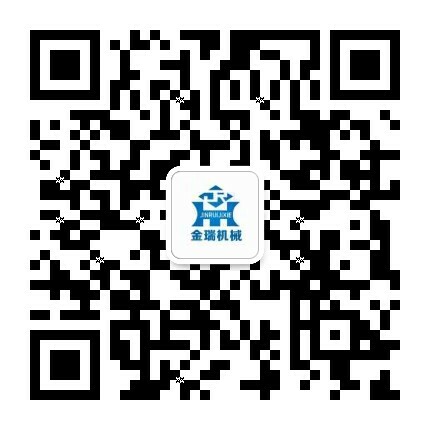 Grab Bucket Overhead Crane-overhead crane price - Henan Jinrui Machinery Co., Ltd. 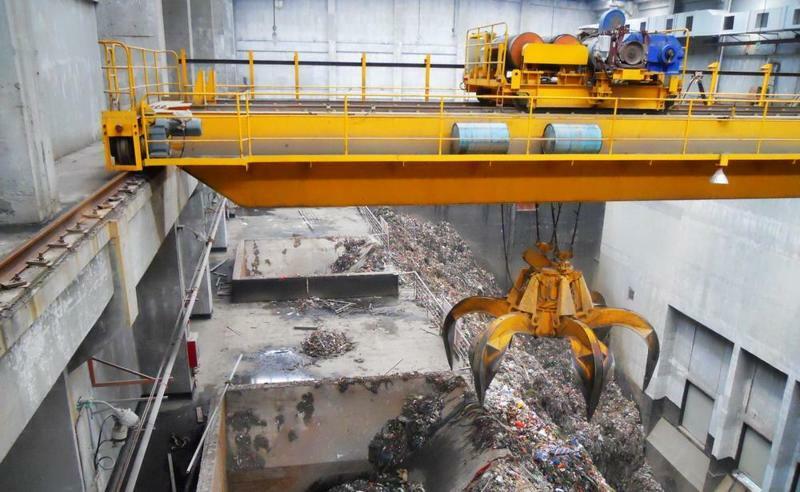 Grab bucket overhead crane consists of box-shaped beam, grab, trolley lifting and traveling mechanism, crane traveling mechanism, cabin and electric control system. 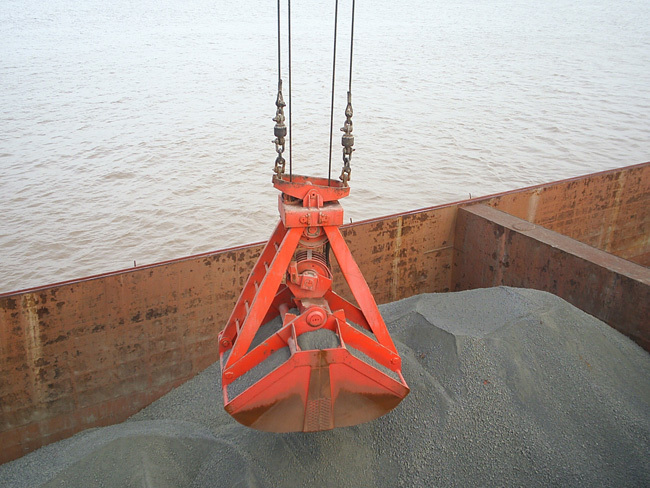 The grab can grab debris, mine stone, or other things, it is widely used for loading goods in power plant, freight yard, workshop and wastes treatment factory to transport bulk materials. All the mechanism is operated in cabin. There is three direction to enter cabin platform. The trolley can move horizontally on the rail fitted on beams. The beams are welded by the machine hands, which make the structure more reasonable and reliable. 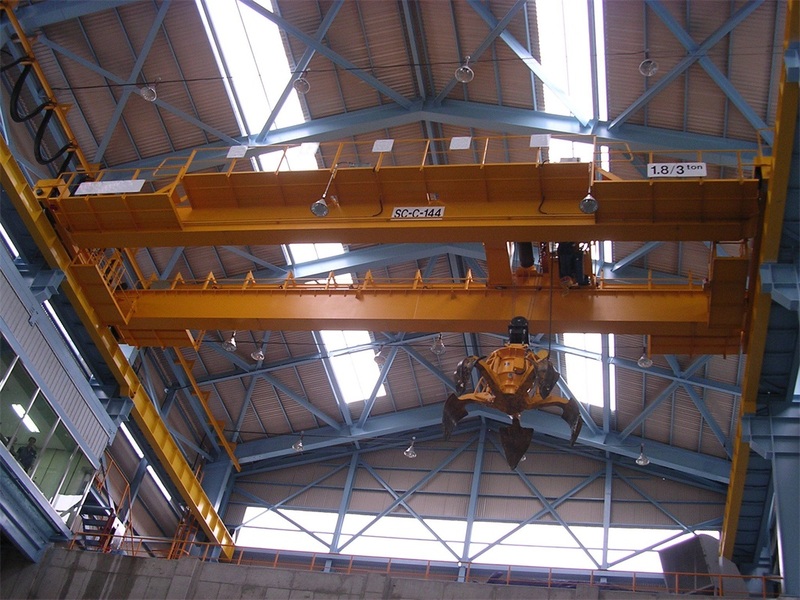 Double girder grab overhead crane mainly could be classified into several working duties, A3-A7. The grab separately hung over the switching mechanism and lifting mechanism with four steel wire ropes. can open and close in any height, but it only adapts to particle materiel accumulation in natural state. 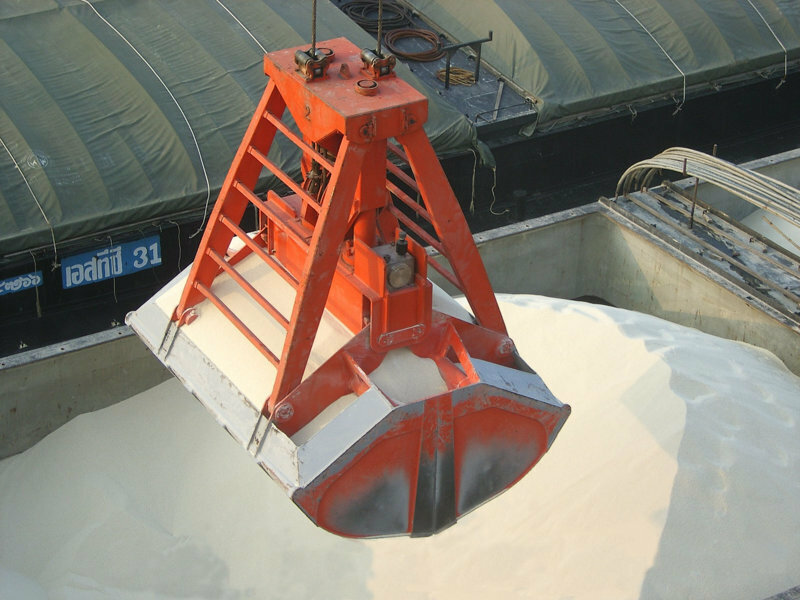 The grab If you want to grab the material under water or special material, you should mention it when order good. 9. Rain cover for outside hoist, driving units, electrical cubicle. 10. Warning indicator: flashing lights and warning sound.